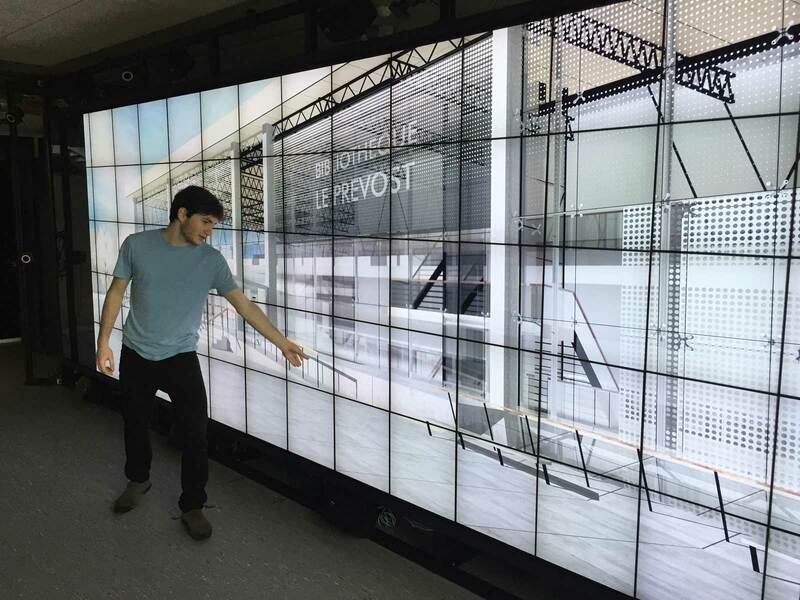 Very high-resolution multitouch wall-sized display with a motion tracking system. WILDER is a tiled display made of 75 ultran-thin bezel screens and a multitouch frame making the entire display surface interactive. It also features a motion tracking system and an interactive whiteboard.